Home Satellite TV Satellite Updates Which Pay-TV company offers the cheapest complete sports packages in Africa? Which Pay-TV company offers the cheapest complete sports packages in Africa? I would be discussing and analysing the cheapest sports PayTV in Africa in today’s article. According to my thorough research, DStv Nigeria premium subscription which cost #15,800($43.3) monthly. is the overall cheapest full package subscription in the whole of Africa. Taking the 2nd position is beIN Sports complete package($45 around $16,200) and in the 3rd position is canal+ and tout by canal Africa which cost $71.12( about #25,000) per months. Elsewhere, we have Startimes and kwese TV. I personally give it up for kwese tv as the best budget sports pay-TV provider. Startimes is just there in its own league. Unfortunately for startime, Multichoice just slashed the price of their GOtv max subscription which means startimes Unique package( at #3,800 without EPL) may suffer a drop in revenue. In addition, the cost of cable tv subscription outside Africa with the exception of Asia is more expensive than what is obtainable in Africa. Let us take, for example, Sky American Directv cost from $110(#38,000), Sky UK complete cost around £79(#38,000). Also in Australia, the cost of cable tv subscription can go as high as AUD 75 ($55)and the trend continues. Summarily, my list of the cheapest sports PayTV in Africa will only include those popular pay-TV companies that offer various sports programs. It is by no means an exhaustive list. However, this is a popular list as it contains the 5 most popular satellite tv providers in Africa namely: DStv, beIN, canal, kwese and Startv. Next, I will present to you each one of them and their prices. In my introduction, I confidently declared DStv Nigeria premium as the overall cheapest full satellite package in Africa. I mean not only in sub-Sahara but also in the whole of Africa. Interestingly, you can find the reasons below. Wikipedia gave the list of countries where DStv services are available. DStv (Digital Satellite Television) is a Sub-Saharan African direct broadcast satellite service owned by MultiChoice. They provide multiple channels and services to their subscribers, which currently number around 11.9 million. 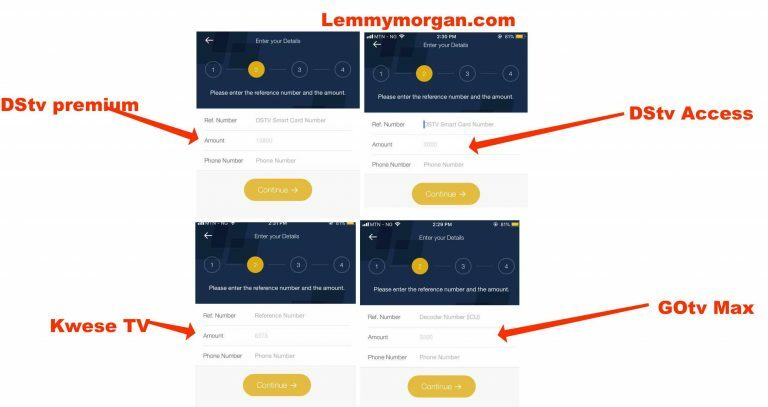 The majority of subscribers are in South Africa and Nigeria, with Kenya, Ghana, Angola, Zimbabwe, Uganda, Mauritius, Mozambique, Tanzania, Lesotho, Ethiopia, The Peoples Republic of Congo, the Democratic Republic of Congo, Gabon, Swaziland and Botswana additionally served by the company. DStv premium: #15,800 ($43) it has everything you can think of you get all kinds of sporting events. I conclude that of all the major cable TV companies we have in Africa, DStv Nigerian premium subscription is the cheapest. Only when you are looking at the most complete packages the individual companies have to offer. Sadly, away from DStv Nigeria, DStv subscription is very expensive in other countries where DSTv operates as you will see in the table below. My divisor would be #360 to $1. DStv compact in Zimbabwe cost $25 The chad republic pays $82 for the premium subscription and $29 for compact. The price of DStv premium in South Africa is Djibouti also pays $82 for DStv premium and $29 for the compact sub. DStv Mega subscription in Angola is AKZ13400 ($52). This is equivalent to #18,720 Interesting twist in Ethiopia as they pay $80 for premium and $33 for the compact subscription. In the Benin Republic, DStv premium goes for $82 while compact is $29 Guinea is $82 and $29 just like the majority. In Seychelles, they pay $88 for premium and $29 for compact Liberia pays to DStv $82 for premium and $29 for compact. NOTE: From the aforementioned, we can all see that DStv Nigeria from all indications has cheapest sports PayTV in Africa. Not even South Africa where the headquarters is located comes very close. In Nigeria, we are still battling with overpopulation, economic recession and massive unemployment. I guess that is the reason we pay the cheapest. It currently stands at #15,800(43) and #6,800($18) respectively. As at the 2nd of August, 2018 the price of GOtv Max Nigeria subscription is #3,200( and it has the following sports channels: ss blitz, super sports select 1, 2, 3 and 4. You can watch English premier league, La Liga, Serie A, WWE, rugby and so on. Given the second position to canal plus is very difficult as the second position ought to go to beIN. However, since canal plus deservedly has the cheapest all sports only packages in Africa, I will give it to her. The countries where canal plus Afrique have right to broadcast include cover mostly French-speaking West Africa countries like Congo, cot d’Ivoire, Cameroon, Cape Verde, Djibouti, Senegal, Gambia, Guinea, Mali, Nigeria(only none EPL channels), Burundi, Burkina Faso, Benin, Niger, Gabon, Chad, Togo, Mauritania and so on. Canal+ (Canal Plus, is a French premium cable television channel launched in 1984. It is 100% owned by the Canal+ Group. The channel broadcasts several kinds of programming, mostly encrypted. Unencrypted programming can be viewed free of charge on Canal+ and on satellite on Canal+ Clair (Clear). Canal+ is also one of the two major pay-TV company that offers adult only channels on its package. They broadcast majorly in the french language. 99% of their commentary is in French. For c+ Afrique to be on this list of the cheapest sports PayTV in Africa, it means they deserve to be there. Canalplus actually has three major packages for sports lovers. What however stands them out is their CANAL+ package. 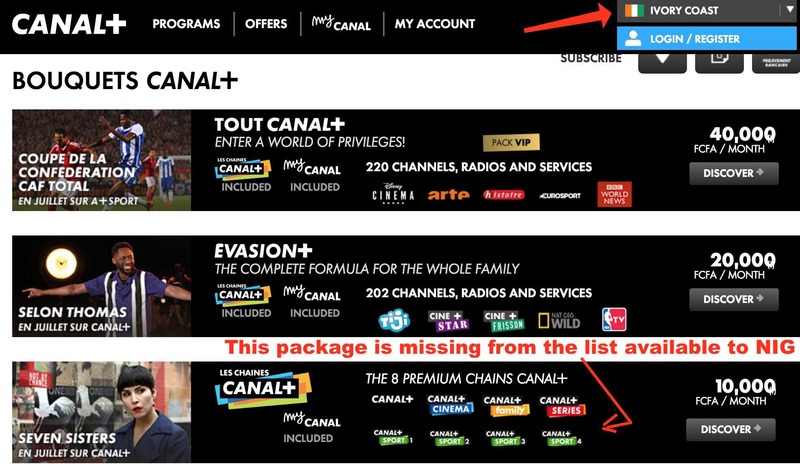 This is a package that consists of only sports and canal+ channels. No new, entertainment or any other channels. The sportst channels on canal+ are capable of entertaining you with sports programs across the globe. This includes EPL, UCL, UEL, Tennis, boxing and others. 1.CANAL+ (Sports only package): this cost CFA10000($17.7 equivalent to #6440 $17.78 all canal sports only package. The content of this package is what makes it ineligible to be sold in Nigeria. If you buy and use this in Nigeria, you would be using it as a pirated device. Only DStv has the exclusive rights to EPL in Nigeria for now. Simply because of the price of this package, we have a high volume of smuggling of these decoders into countries where they are not officially allowed to operate. Please i stay in Nigeria, I’ll like to watch the BEIN channel but I don’t know if the cable company that offers the services. hello, is bein Sports service available and accessible in Ghana and Nigeria? Hi, is bein Sports accessible in Ghana and Nigeria? @Julius: where is your location? 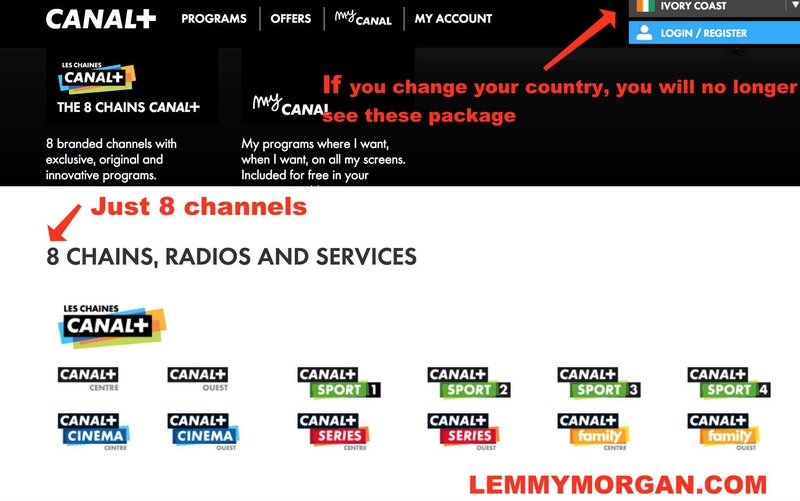 Pls, can I subscribe to Canal+ sports only package in Nigeria if I have the canal+ decoder? If yes. How? Pls can you help me get a Bein sports decoder to use in Ghana? and I think this will trickle protest all over Africa to see that DSTV drop there price in sub-sahara Africa. DStv premium:=================== #15,800== ($43 usd) it has everything you can think of you get all kinds of sporting events. @Umar-Faruk: No, I can’t. It is illegal and I would be punished if caught. Is SRT 4950h still working for sports 24?